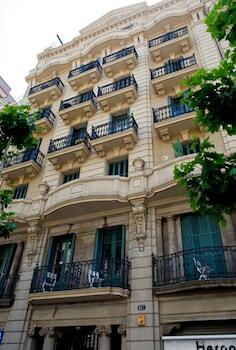 A stay at Hostal Martinval places you in the heart of Barcelona, within a 10-minute walk of Casa Batllo and Casa Mila. Featured amenities include multilingual staff, luggage storage, and a safe deposit box at the front desk. Self parking (subject to charges) is available onsite. With a stay at this apartment in Las Palmas de Gran Canaria, you'll be by the sea, within a 15-minute drive of San Telmo Park and Las Canteras Beach. With a stay at Villas Costa Calpe - Pineda in Calpe, you'll be within a 5-minute drive of Puerto Blanco Beach and Cala Manzanera. Free self parking is available onsite. Located in Pollensa, Aparthotel Club del Sol Resort & SPA is by the sea, within a 5-minute drive of S'Albufereta and Playa de Alcudia.